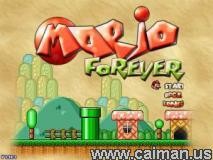 Caiman free games: Mario Forever by Michal GDaniec - Buziol Games. 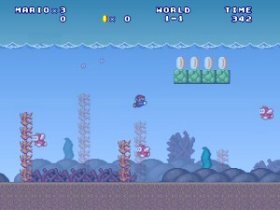 A beautiful Super Mario game - many levels, even under water! - Added an option to mute sound (Still working on ironing out a small bug in the first portion of the game). 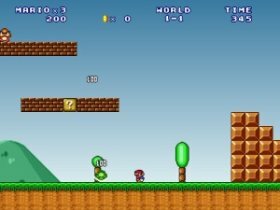 - It is now possible to use a gamepad or joystick via gameport 1. - The difficulty increases seamlessly throughout each level.- Minor fixes on the end game animation. - And, of course, I could have missed something. - A new secret world!!! 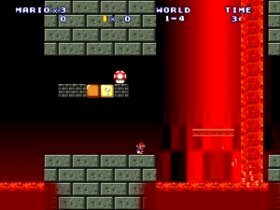 Een prachtige Super Mario - veel levels, zelfs onder water! 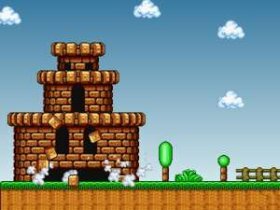 If you need help: An MSN group just for Mario Forever Lovers/Players .